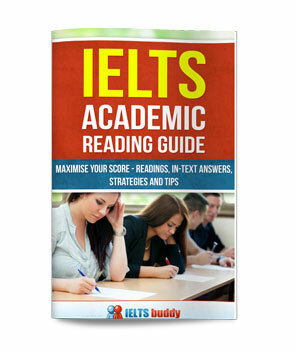 How to fill in dates in IELTS ACADEMIC LISTENING? For example how to write "First of july'?? 1st of july or 1 july??? Also how to write 9pm to 4 pm??? 9-4pm or 9 am to 4 pm given we have to just write 3 words. plz give me a confirm answer becoz my bands are reduced due to these things. Any of the suggestions you wrote should be fine. 9am to 4pm is three words / and or numbers (they would count 9am as one word/number). I have a question regarding a task I recently did on the listening test (ielts book 9, test 4). How did the students do their practical sessions? In a different question about how did someone feel, I quoted the recording again ("much more confident") and the key got me wrong again as they claim it to be just "confident". In no question did I disobey the instruction, just provided strictly as the recording said. How do you think they would mark my answers? Thanks for any help! I really can't say for sure what IELTS would actually do if marking that but I looked at Test 9, Section 4 and yes you are right that your answers fit and should be correct. I can only assume in the real test you would have got the marks, but nobody has access to see what they have actually done on the day when they mark someone. Hello, i cannot seem to understand why i'm getting a low grade in listening. when they say numbers, for example 5, should i write is as five? or 5? i cannot find out why i can't get a high grade even despite finding it very easy. You can write it as '5' or 'five'. It may just be that you need to improve your listening skills. What are your scores for the other modules? If they are similar then that is probably the level you are at. If you buy the official Cambridge IETLS practice test books you can check your answers in there to see what you are doing wrong. Are you sure it didn't say one word AND / or a Number? That's what it usually says and in that case "15 October" would fit. If it was only 'or' there must be an error somewhere, either in your answer or in the practice paper you are using. The Audio tape says 15th October as date of arrival. And In the question, date of arrival was asked and I think the instruction was write one word or a number. Would it be correct if we just write "Fifteenth" or should it be 15th October? Also, would the instruction would always be "write one word and/or a number" or can it also be "write one word/or a number"? If it was '15 October' it would have to be one word and / or a number but I can't say for sure what the instructions were. Yes you can say fifteenth instead of 15th but I would just stick with the number. I also attended the same test and I wrote just 15th. Is it correct? I really can't say without seeing the test. which is correct in the test. I take a exam, and the teacher told me that 10,000 is right. but I don't know why? Yes the correct way officially is with the comma so do that in the test but both are ok in terms of getting the point in IELTS. in cabridge IELTS book 9 listening test 2 the officer asks a student about her date of birth and the question says one word and/or number only, she said 31st of March 1972 and i wrote in my answer 31 March 1972 because according to what i know: IELTS counts dates as one word but the answer key says 31 March without mentioning the year. why is that? Your question has come up before. I think that one is an error with the test as it's impossible to answer it by only using one number - you need two: 31 and 1972. Is the answer "10/02/1998" considered one word or three words? Neither, that would be three numbers. but the answer is 4.30pm is it possible? "4.30" is being counted as the number and "pm" is probably not included, but even if "pm" is called a word, it's still ok as it says '2 words and / or a number'. is the "weekday" part of the "date" ? Please may you tell me is the "day" part of the "date" ? in the recording he said Saturday March 19th, so I my answer was Saturday March 19th. The answer was wrong and March 19th was written as the right answer.. So that means whenever they ask for a date the "day" is not part of it ? Will all the following date formats be accepted? Instruction in question paper was NO MORE THAN THREE WORDS AND/OR A NUMBER for each answer. SPEAKER SAID, "IN 1968 ALCOTT PUBLISHED LITTLE WOMEN"
SO I PUT "IN 1968" IN THE BLANK SPACE. BUT IN ANSWER SHEET IT WAS ONLY "1968"
ARE THEY BOTH CORRECT OR MY ANSWER WILL BE COUNTED AS WRONG? It's not possible to answer your question without further information as it depends what was on the question sheet. If "In" was written on the question sheet, then you should only write "1968", but if "in" was not there you should put "in 1968". It also of course depends on the context of the question. It's possible the answer key you are looking at is wrong as mistakes are sometimes made with tests that are written and that are not real tests. ...which all are considered as correct answers...?? How do we write dates in the IELTS Listening? I have a question about how to write dates? For example would it be a mistake if I will write in the answer 9.09 instead of 9th of September? Can you give me an advice how to write right dates? Comments for How do we write dates in the IELTS Listening? I do not think the format you used will be correct. The only time we use numbers like that is when we are writing the day, month and year. Remember if the instructions say use only two words you should not put the 'of' in. Is there a difference between 12th February and 12 February? Will I lose the point if I write 12th instead of 12? No it is the same so you should be ok.
Hi. What about centuries? Is it important to write "th" at the end? For example, if I wrote 19 instead 19th. Is it wrong? I would check what is in the answer key, but century should normally have the "th". Can I write Oct. instead of October? I've never heard that they accept abbreviations for months so that would likely be wrong. What if I forgot to put date on the heading? Will it affect my score? What heading? I'm not sure what you mean. If there's a question asking for Date of birth and the recording says "25th of December 2002", what should we write the answer as (in one word only)? What you write would depend on two things. Firstly, what was missing from the gap, and secondly the instructions for how many words / numbers you are allowed to use. The instruction was to use one word and/or a number. The answer to the question relating to a birthdate was 25 dec, 2012. If it is written as 25/12/2012, does the examiner count it as a word or is it a wrong answer?? The listening is not marked by an examiner, just admin staff. But what you have said does not sound correct. I'm not sure how the answer could be '25 Dec 2012' if it says you can only use one number. That is of course two numbers. And the second way you have written it is three numbers, so that would be wrong. Where did this question and answer come from? How i can write 23th july in capital letters?? You can use small letters, capital or a mix, so it doesn't matter how you write it. So yes what you wrote is ok. In some times find two blanks to fill it for example a chair is made from (leather or metal) in answers i found in any order what is it mean? And another section i found choosing question it was three answers and he said also in any order... Please till me what is the difference? So either would be ok. And same with the three you mentioned. They can be in any order. Hello! i have to clarify something. How about if the answer should be a type of money eg. dollar or pound. Should i still add the currency symbol like $600 even though the symbol has already given to the question? I took some exercises on youtube and i always got wrong with it because i didn't put the symbol on it, i only answer 600 instead because the question put already the currency symbol. Is it considered though? I don't want to miss this kind of reckless answers. In the IELTS listening you only put what is missing from the gap onto the answer sheet. So if there is a symbol, for example '$' already on the question sheet, you should NOT then put it onto the answer sheet. Those practice tests you have been looking at are wrong if they already have the symbol on the question sheet and are then telling you you are wrong if you leave it out of the answer. I believe the date should be written as 23rd instead of 23th. If the tape said "one and a half dollars", do I need to write down " $ 1.50 " or is "1.5 dollars" okay? The word limit was 2 words so I thought it was okay, but apparently it wasn't. In one of my mock tests they marked me wrong for useing "1.5 dollars"
You can write 'dollars' so I'm not sure why it was marked wrong. You could say: $1.5 or 1.5 dollars. 6 months or Six months? Comments for 6 months or Six months? Either of those would be ok. Question was date of birth and instruction was max 2 words. I wrote 16.10.1980. How are the dates counted? Excuse me, there was the instruction that the date (ex. 12.09.15) is counted as one word. Is that right? Hi Evgenia, I've not heard that before, where did you get told that? How to mention time... I mean which is the right way.. 10:05AM OR 10.05AM ? If a date was mentioned and the gap of words included day, month AND year, you'd need to put them all. If the year was already on the paper then you wouldn't put it. So if it was the first one it would make no sense to be told one word and / or a number. Those instructions would only make sense for the second one. It says write no more than 3 words and or/number. A year is a number. The second one would not be ok as you are only allowed one number. Write a date (31 March 1972) as (one word and/or a number) in listening part, how it could be?? The answer sheet in book 9 indicates that it is (31 march), can 31.03.1972 be right also? Can you tell me where that is in book 9 then I can take a look? I had a look. I can only think that it must be an error in the book. In the answer key it says '31 March' (which fits the instructions of ONE WORD AND / OR A NUMBER) but as you suggest, I'm sure a lot of people would write '31 March 1972' which is her full date of birth. So I can only assume when it was used as an actual test in the past they would have given people the point for '31 March 1972' but it's impossible to find out. Is that date can be treated as a number?? "Use one word and / or a number"
I write only 24th March as my institute teach me it is correct no year required??????????? If you asked someone when their birthday is they are likely to say "24th March" not "24th March 1982". You could say either of course, but if you have space for one word and / or a number it is not looking for the year. 20 May or 21st of May? I wrote "21st of May" in my listening practice test. However, in the answer key was "21 May", and it was said that my answers should be the exact match. What's wrong with "21st"? Will it be considered an error in a real test? Comments for 20 May or 21st of May? "21st May" should be fine as it is a common way to write dates. But whether "21st of May" would be correct or not would depend on the number of words allowed. If it said "No more than two words and / or a number then "21st of May" would fit ok as that is two words and a number. Generally speaking though I would just not write the 'of' or 'th/st' to be on the safe side. It is not needed anyway, and if we fill out dates on forms we don't tend to write those in. Which practice book was it? Was it on of the official Cambridge books? Will you please tell me whether 31st will be considered as a word or a number? If i will write 31st march, will it be considered as two words and a number or a word and a number? Is it same to write 31 march? 31st would be a number, but yes you can write 31. Which of them is considered to be correct? Actually, when I simply write 11 April without 'th',the answer is 30th April. Could you please clarify when to write with or without 'th'? It may be accepted as it is the American way of writing dates (month before day) and American English is accepted in IELTS. However, I'd avoid it and just write it in the normal way for British English to avoid any possible wrong answers. You don't need the 'th', but it should be fine if you do put it in. There is no particular rule for using it or not as far as I'm aware. ''11 of April'' would be ok as well? Yes that's ok as it's TWO Words and a number. How to write currency in writing test as well in listening test? E.g. if it's USA currency then we should write as USD in word or $ in sign? I would just write the sign ($) as that is the normal way to do it. That said, it would make no difference in the writing test whether you used 'USD' or '$', and possibly not the listening either, but as they always use the sign ($) on the listening question sheets I'd do the same to be on the safe side. $_____ ? does one has to include the symbol($) again in the answer sheet or not? No don't include them if they are already on the question sheet. If they are not on the question sheet then you should include them. If the question asks for a time or price and the question already has 'pm' or the '£' on the question paper and I write the answer with the '£' and 'pm' will I get the answer wrong? Yes it will be wrong because you won't have put what is the correct answer on the answer sheet. Only put on the answer sheet the words and / or symbols that are missing from the question booklet. Do I use percentage sign in answers? Confused about what to fill in when percentage signs or something else are already given. For example, a pie chart is given where the percentage signs area already there but you have to listen for the numbers. Do I fill in just the number on my answer sheet or both the number and the percentage sign? Comments for Do I use percentage sign in answers? In that case you only put the number, not the percentage sign. You only ever fill in what is actually missing. Please provide me the guidance as i am going to take test on 26 August which is tomorrow and i need one clarification. If i write "Aug" instead of "August" or "Jan" instead of "January" will it be the right answer? Same for the day such as Sun instead of Sunday? You don't want to risk losing any marks so just write the full months and days, not abbreviations. thanks a lot really appreciated!! Are times words or numbers? I would like to ask a question on IELTS Listening. 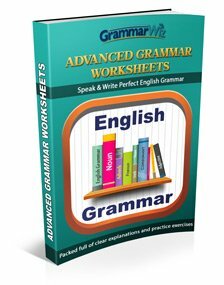 In instructions it is written that "No more than 3 words". And the correct answer is "4.30 pm to 5 pm". But in instructions there was no any point about numbers!! Comments for Are times words or numbers? To be sure to advise you properly I would really need to look at the actual test question and answer that you are looking at. But firstly "4.30pm" would count as 'one' not 'two'. So there are a total of 'three'. So I assume the test you are referring to is counting "4.30pm" as a word. Are you sure the test did not say you can use a number as well? It is possible that it is a mistake in the test. Hello, in listening case can we write short form of month if they speak short of month as 1st Jan??? If that is what they actually say, then 'Jan' would be fine. I don't recall ever hearing someone use an abbreviated form in the speaking though but I could be wrong. 9:30 am or 9.30 am? 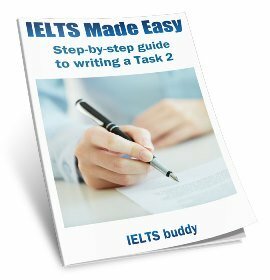 How to write the time correctly in ielts? Is it 9:30 am, with two dots or 9.30 am with one dot? Officially it is two dots but I don't think you'd lose the mark if you used one dot. instead of writing 23rd September, I wrote 23th September, carelessly!! Will I lose mark? IELTS don't state whether they would accept that kind of mistake or not so it's not possible to know. I took the IELTS test yesterday, and I got a little bit confused during the Listening part. I was allowed to write 'One Word And / Or one Number' and one question was about writing a time. The speaker said that her store closes at 6. So I wrote exactly as I heard '6'. Is it a correct answer? Or Should I have written it '6:00' or '6:00 PM'? Comments for 6 or 6pm? That depends what was written on the question sheet. If it had "...... pm" then you should just write 6. If it had "........" then you should write 6pm. You should not write anything that is already on the question sheet as you are just filling in what is in the gap. Hi, if one is writing answers in IELTS listening test using capital letters,how to write the following letters.should they be in capital or small letters? You don't have to worry about capitalization in IELTS so it doesn't matter. I have two ielts listening queries to ask. 2. While writing a cost of anything and if the number is quite long , should we place a comma? Example- $2,400 or $2400. For both your questions any of the answers you gave would be ok. If the answer is '25.50 euros' and I put '25,50 euros' Will be wrong?? It's not possible to say for sure exactly what may have happened when your paper was marked, but really if they decided to be strict it would be marked wrong. As you state is says 'Standard alternatives' are accepted, which means standard ways in which currencies may be written. But commas are never used as far as I am aware to write currencies in the way you did, so that should be wrong. Firstly, thnx for your attention. In fact, in Europe, and in many other countries the standard way to express currency is separating cents using a comma. If that is the case then you will probably get it marked correct. I'm from UK where we use full-stops. I didn't know commas were used elsewhere. Yeah... apart from Ireland and UK the other countries (at least the majority) use comma as a separator in currency. I checked later that even in Canada on the French part they use comma as well....Anyway....let's see... Once again thx for ur attention. To be honest, I am afraid about ''All standards'' refers to something just under ''british/north american'' style. Like: 12000 or 12,000 or 12 000. As u stated it is hard to affirm. Damn! I should have stayed on the safe side. If the question asks for Date of Birth to be answered in two words or a number and recording says 15th March 1980 then what is the correct answer. I would put '15th March'. But what practice test is it? Is it a real Cambridge test? If i wrote time without AM or PM do they mark as incorrect??? In the question paper also AM or PM not written. The rule is that you should only put what is missing in the gap. So if the gap on the question paper was "......PM" then you should NOT write 'PM' in your answer. Just the number. If it was "........." and the 'PM' was missing then you need to write the number + PM. If you do not follow those rules your answer will be marked wrong. like 17 of March...is it wrong???? The ''of'' counts as ''one word'', right? Yes that's Two words and one number. 17 March would be ok as well. Hello is "th" in 15th March a word too. Also £20 is the £ a word too. Thanks. No things like "th" and "£" are not counted as words. Does the wording of the answers matter? For example i was doing an online listening test and one of the answers was April 18th, but I put 18th of April and got it wrong. Also another was three days and i put 3 days instead. The requirements was under three words so it wasn't that. It looks like your answers were correct. 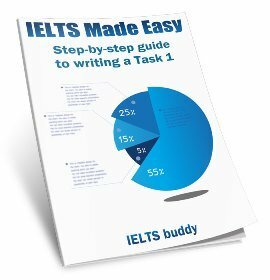 If you were not doing an official IELTS test written by Cambridge it may just be that they have not given the proper choices in the answer key. It’s actually much more common to write 18th April than April 18th, so your option should have been in answer key. And 3 or three are acceptable.